To be honest, the 1967 Chevrolet Corvette C2 – commonly known as the Sting Ray – doesn’t need any modifications to be a great drag racing car. 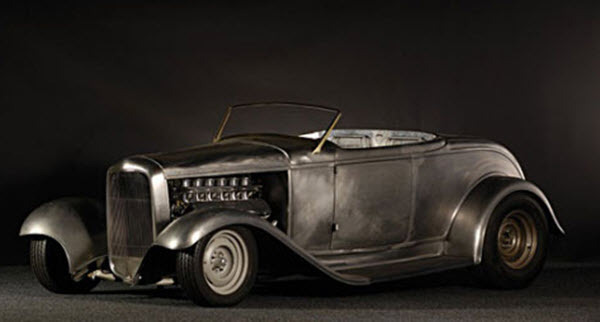 It is a muscle car right out of the assembly line, but this hasn’t kept hot rod fans from putting their own marks on this iconic little piece of U.S. car history. The Chevrolet Corvette C2 was produced by Chevrolet for the 1963 – 1967 model years. C2 stands for Second Generation, as these cars followed the First Generation of Chevrolet Corvettes introduced late in the 1953 model year. The 1967 Chevrolet Corvette was the last of the Second Generation Chevrolet Corvettes, and it is quite similar to the 1966 year model. Here are a few examples of things that were altered for the 1967 year model. For the 1967 year model, slotted six-inch Rally wheels with chrome rings replaced the previous’ models wheel covers. The lug nuts were hidden behind chrome caps. Chevrolet replaced the three big front fender vents with five small ones. Combined with flat-finish rockers without ribbing, a lower and less boxy look was achieved. A single backup light was placed right above the license plate. Inside the car, the handbrake was moved from beneath the dash (pull-out style) to the center console. In total, 22,940 units of the 1967 Sting Rays were sold, which was over 5,000 cars less than for the 1966 year model. The base price for the 1967 year model was 4,240 USD. If you wanted the L88 427/430 you had to pay an additional $1,500 and this high price tag combined with potential buyers anticipating the Third Generation meant that no more than 20 units were sold of the L88 427/430. Today, these units are extremely sought after. 327 in³ Small-Block V8 This engine was available with 300 hp (224 kW) or 350 hp (254 kW) for the 1967 model. 427 in³ Big-Block V8 This engine was available with 390 hp (291 kW) for the 1967 model. 427 in³ Big-Block Tri-Power V8 This engine was available with 400 hp (298 kW) or 435 hp (324 kW) for the 1967 model. 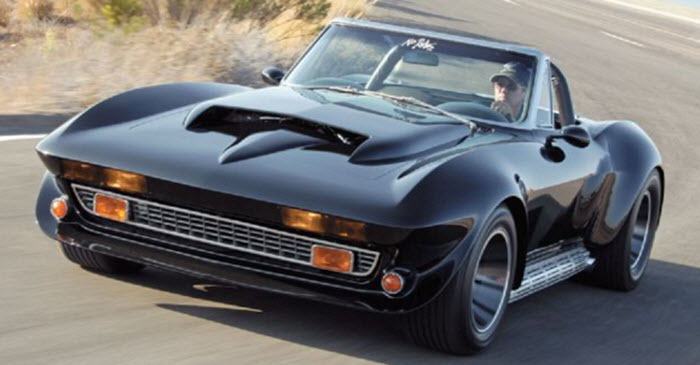 The most powerful engine available for the 1967 Chevrolet Corvette was a 427 in³ Big-Block Tri-Power V8 with 435 hp. This engine came with a 1282 ft³/min (605 L/s) Holley triple two-barrel carburetor arrangement, marketed as Tri-Power. This engine configuration, coded L88, came with lightweight heads, large ports, 12.5:1 compression, an upgraded camshaft, an aluminum radiator, and a small-diameter flywheel. The true rating was rumored to be 560 bph at 6400 rpm, but the advertised rating was significantly lower. In many ways, this engine was a racing car engine stuffed into an everyday car. For instance, the 12.5:1 compression needed 103-octane racing fuel, which could only be purchased at select service stations, and to discourage people from using this powerful beast of a vehicle for anything else than drag racing on designated tracks, the car would be delivered without heater and radio. Also, when you ordered the L88, several additions that were normally optional upgrades for the Sting Ray buyer became mandatory for you, including the limited-slip differential (LSD) gear arrangement (called it “Positraction” by Chevrolet), heavy-duty suspension, power brakes, and transistorized ignition.